Novak Djokovic plays a backhand against Martin Klizan during their match Wednesday at the Barcelona Open. (CNN) - Novak Djokovic suffered another setback in his attempt to return to form, losing 6-2 1-6 6-3 to world No. 140 Martin Klizan in the second round of the Barcelona Open. The Serb, who has seen his ranking drop to 12th in the world after struggling with an elbow injury for the best part of two years, had shown glimpses of his former self at the Monte-Carlo Masters last week, reaching the third round before being defeated in three sets by Dominic Thiem. 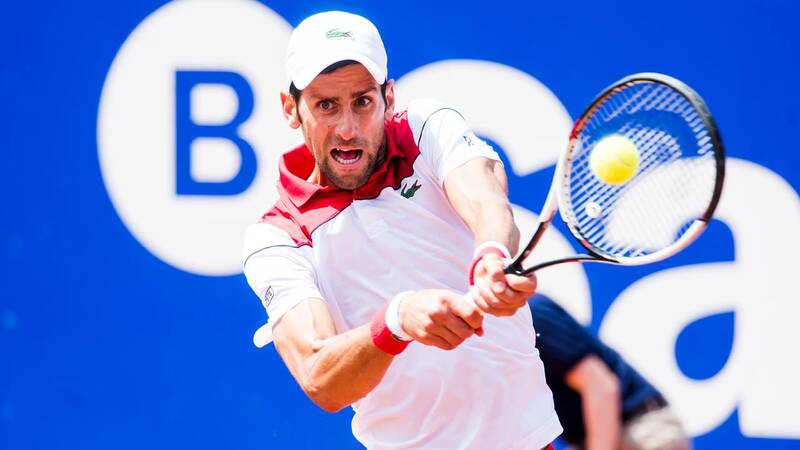 Djokovic was given a bye in his first round in Barcelona, while Klizan came through two qualifying rounds and a tight first-round match against Federico Delbonis. The 28-year-old Klizan, who reached a career-high ranking of 24 in 2015, took the first set in impressive fashion, a combination of aggression and a deft touch proving too good for his opponent. An almost impossibly difficult drop shot on set point showed just how in the zone Klizan was. Djokovic, playing in Barcelona for the first time since 2006, soon rallied and looked to have turned the match on its head by comfortably taking the second set 6-1. But Klizan soon broke serve in the deciding set and, when Djokovic dumped a routine forehand into the net, the Slovakian secured his first ever victory over the Serb. Klizan goes through to play Spaniard Feliciano Lopez in the third round, while 12-time grand slam winner Djokovic continues to search for form with the French Open, a tournament he won in 2016, fast approaching. Djokovic's start to the year, which now stands at five wins and five losses, is the worst of his entire professional career.